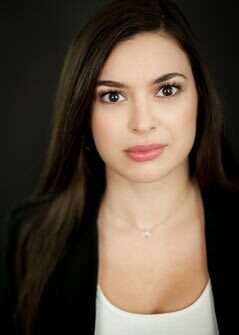 Rachel Aghassi is a partner focusing in professional liability and legal malpractice defense. Ms. Aghassi has successfully defended lawyers and other professionals in high-exposure malpractice lawsuits in all phases of litigation, including trial and appeals, in state and federal courts arising from a wide range of complex legal areas including commercial litigation, foreclosure actions, real estate matters, medical malpractice, accounting malpractice, administrative review, tax preparation, zoning, matrimonial matters, personal injury, construction litigation, probate law, bankruptcy actions, forfeiture actions, Employee Retirement Income Security Act (ERISA) litigation, cybercrime, and criminal actions. Ms. Aghassi has successfully obtained defense verdict at trial avoiding millions in liability. Prior to joining Furman Kornfeld & Brennan LLP in 2014, Ms. Aghassi was an associate at an employment litigation firm concentrating in multi-million dollar class and collective action matters. Ms. Aghassi began her legal career as an Assistant District Attorney in the Kings County District Attorney’s Office where she investigated and prosecuted criminal cases from one of the busiest police precincts in the country. Prior to her legal education, Ms. Aghassi worked as an environmental scientist in Philadelphia. Ms. Aghassi earned her J.D. from Fordham University School of Law in 2009 and her B.A. from the University of Pennsylvania. Ms. Aghassi is admitted to practice law in the New York State, the United States District Courts in the Southern, Eastern, and Northern Districts of New York and the United States Court of Appeals for the Second Circuit. 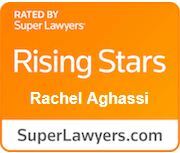 Ms. Aghassi was selected for the 2015, 2016, 2017, and 2018 Super Lawyers New York Metro Rising Stars list and was also featured in Super Lawyers Top Women Attorneys of New York. The Rising Stars list recognizes no more than 2.5 percent of attorneys in each state.